Following the recent "I Think She's Dead" Series and at the risk of being labeled "Queen of the Eternal Night" I would like to introduce you to an amazing gravestone photography project, the Farber Gravestone Collection. It's been around the web for quite some time, but warrants another look for the insight it has to offer cemetery photographs and often biographical information. To say that it is an unusual resource is an understatement. The collection contains over 13,500 images documenting the sculpture on more than 9,000 gravestones, most of which were made prior to 1800. The work that makes up the bulk of this collection is attributed to the late Daniel Farber of Worcester, Massachusetts, and his wife, Jessie Lie Farber. 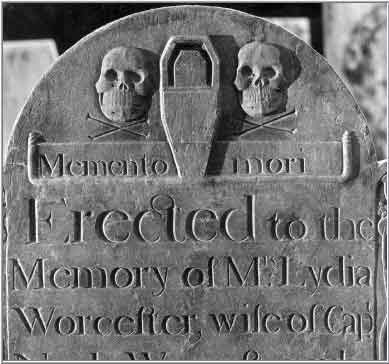 Others whose work is incorporated into the collection include Harriette Merrifield Forbes, who worked in the 1920s mainly in Massachusetts, and Dr. Ernest Caulfield, who documented Connecticut grave markers. "These early stones are both a significant form of artistic creation and precious records of biographical information, now subject to vandalism and to deterioration from the environment. 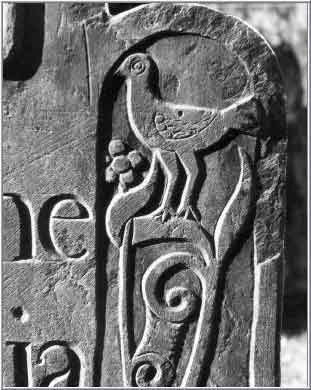 The data accompanying the photographs include the name and death date of the deceased, the location of the stone, and information concerning the stone material, the iconography, the inscription, and (when known) the carver. Some carvers whose work is known but who have not been identified by name are entered by stylistic groupings, rather than by name. 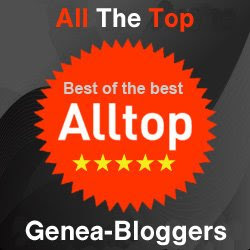 Carver attribution is a young and healthy area of research in a constant state of flux. In addition to the Farbers, others who worked to make this project a reality include Henry Lie, Dr. Ernest Caulfield, and Laurel Gabel. " 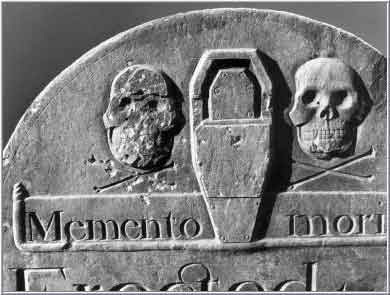 There is an excellent introductory article, Early American Gravestones, by Jessie Lie Farber. The link is to the pdf document. 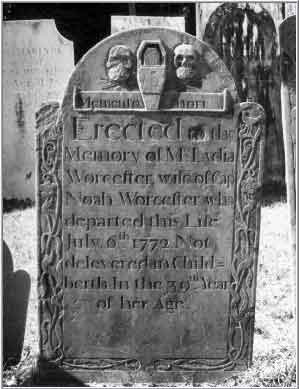 If you are looking for an ancestors gravestone you can do a keyword search using the surname. While not a biographical resource, information can often be seen in the photographs or in the file. I have included an example of one gravestone and the four photographs that accompany that record. Here is the file information for this gravestone. This is a fascinating resource. All photographs copyright Farber Gravestone Collection, reproduced under the Fair Use Doctrine to document and provide information of an educational nature. Those are beautiful photographs, wish there were more books like this. October 10 - And The Guest Author Is . . .